Book Sale: Wed. May 1 2:30 - 3:30 p.m.
Half-Day Institute Fri. May 3, dismissal at 11:35 a.m.
Online Annual Update is now open for students in preschool through 11th grade. Complete the Annual Update by May 3, 2019. All families will update their student’s information through their Infinite Campus Parent Portal account. Friday!! We’re so excited about this year’s Spring Carnival on April 26th! (Formerly our Ice Cream Social). Volunteers wanted! Next: Portillo's - Bolingbrook, Tues. May 14 5:00 - 8:00 p.m. 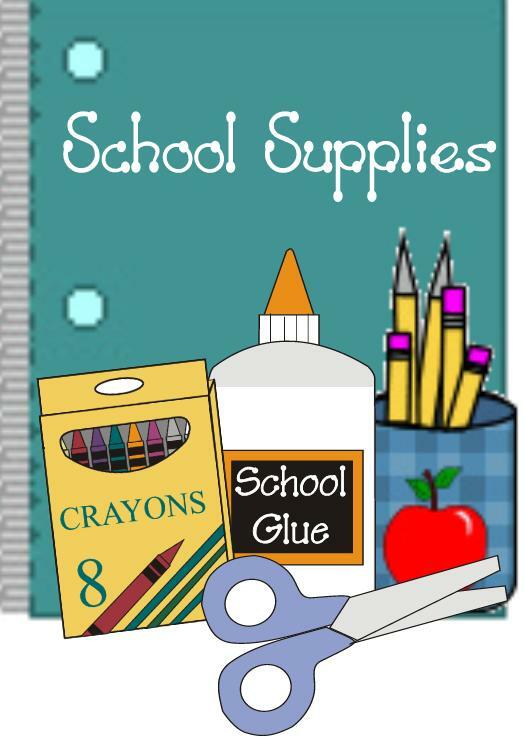 The 2019-2020 School Supply lists and ordering information. SUCCESS Literacy Night and final Scott School event of the school year. Scott Families! Home and School is looking to fill a few co-chair positions for the 2019-2020 school year. A few Saturdays ago, I attended a “Trivia Night” fundraiser for my son's preschool - Hobson Academy. The first category of the evening was Naperville history. I was able to answer one question about Mayor Pradel but it was a question all others knew as well. I was no help for any of the other questions. The next category was pop culture and I wasn’t much help there either. Then came a history category. Despite this being a relative strength of mine, I couldn’t answer the questions in this category either. Unfortunately, most of the questions dealt with pop culture-type history and not the historical categories I read or study. While reflecting on the night, I remembered the experience of one of our 5th grade students at Outdoor Education. This student hit the archery target with every shot he took. Most shots taken by students don’t even make it to the target or fly well past. After hitting his final target, he turned to a teacher and said "I am so happy I found my hidden talent. I feel so good about myself." There was no sarcasm in his voice. It was sincerely a statement of pride, confidence, and comfort. Beautiful. The concept of "Every Child. Every Day. A Success." connects directly to how a student feels when she/he leaves school each day. My hope is that we’ve created an environment, culture, and multiple opportunities for every student to feel good about who they are through some measure of success. As teachers, I believe we have an awesome opportunity and an ethical obligation to ensure each student, each day, feels good about who they are and has the confidence to become who they want to become. One small way we try create opportunities for students to be proud of who they are is through the Scott School Mission Maker program. This program mirrors the district level program of the same name. The purpose is to identify students that exemplify our district mission which is to produce students who are self-directed learners, collaborative workers, complex thinkers, quality producers, and community Contributors. I’ve added some Scott specific criteria as someone who exemplifies the concept of “Together We Can” and anyone that helps Scott move “One step closer to being the kindest school on the planet.” The students can be nominated by any adult in the building. At the end of the month, all students nominated receive a certificate by me, a letter explaining why they were nominated, and are recognized on the morning announcements. The Scott staff and I hope initiatives such as the Mission Maker program, along with daily authentic opportunities, will create a school culture where we recognize the unique gifts and talents of all students. We want every child, every day to be proud of who they are and excited about who they can become. While we certainly have work to do, we strive to move closer to this goal every day. Please let me or your child’s teacher know if you have ideas on how to better support your child in finding her/his talents, feeling proud about who she/he is, and being excited about who she/he can become. Together We Can. 2:30 PM - 3:15 PM Running Club P.M.
7:15 AM - 7:55 AM Running Club A.M.